Toy company NECA, who recently released an official replica Portal gun, is letting people kick their Aperture fantasies up a notch with an entire licensed outfit. 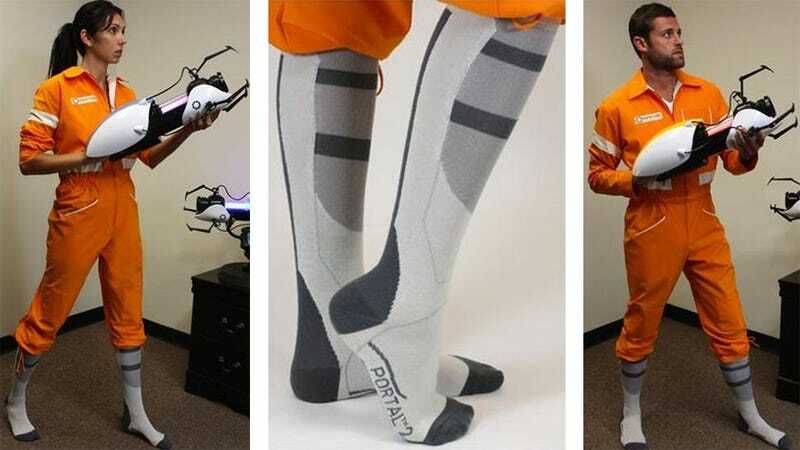 Going on sale soon will be a pair of long socks fashioned to look like the game's Long Fall Boots and, for those who really like to get in character, the same orange jumpsuit that hero Chell wears in both Portal games. The suit looks to be available in both men's and women's cuts, and costs $100. It'll go on sale next month.